Found 1,737 blog entries tagged as "10314". Tuesday, February 12th, 2013 at 3:40pm. The Staten Island neighborhood of Westerleigh became a popular place a couple of decades after the formation of the Prohibition Party in 1869. 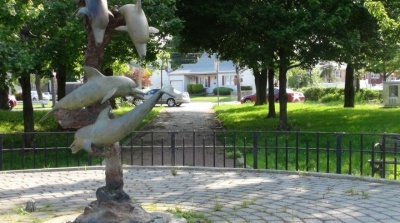 Around the late 1880s, twenty-five acres of the current Westerleigh neighborhood became home to the National Prohibition Campground Association, also known as Prohibition Park. Prohibition Park started off as a campground with some recreational facilities for its visitors. Soon, people began to settle there instead of having to visit. Wednesday, January 16th, 2013 at 12:42pm. Throughout the nineteenth century, farming was one of the most significant industries on Staten Island. By the turn of the twentieth century, the number of farms on the Island began to greatly diminish. Nonetheless, German immigrant Henry William Dietrich Mohlenhoff decided to relocate from his farmland in Queens to Staten Island, where he purchased thirty-two acres of land. On this land, he and his wife established a farm. The couple had one dozen children, all of whom worked on the farm with their parents. Even as the sons married, they would erect their own homes on the property so that they could still work on the farm. Tuesday, January 15th, 2013 at 3:16pm. 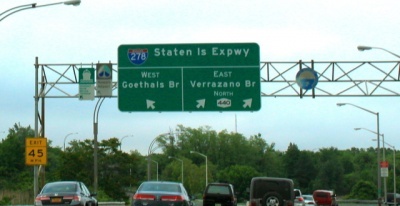 The Staten Island Expressway is often used as the dividing line between Staten Island's North Shore and Mid-Island sections. The land for this expressway was acquired by the City of New York during the middle of the twentieth century. After its completion, it was found that there was much unused land that had been obtained for the construction of the expressway. As a result, many parcels of land were transferred over to the New York City Department of Parks and Recreation, who developed many parks using the vacant land. Monday, January 14th, 2013 at 2:22pm. In the second half of the nineteenth century, Moritz Glauber immigrated to the United States from Czechoslovakia. 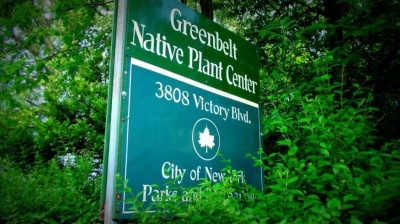 By the early part of the twentieth century, he had established a 35-acre estate near the center of Staten Island.Glauber passed away in 1944 and the estate soon came into the hands of the City of New York. By the end of the decade, almost half of the estate was assigned to the New York City Housing Authority, who planned to use the land for a public housing project. This project, which consisted of 502 apartments, was completed in 1950 as the Todt Hill Houses. Thursday, January 10th, 2013 at 3:55pm. During the middle of the twentieth century, the City of New York began acquiring land for the current Staten Island Expressway. In 1958, a parcel of a little over thirteen acres of land was acquired in the neighborhood of Bulls Head. Grass was planted on the parcel, but nothing else was done to the site for decades. It is bounded to the north by the Staten Island Expressway, to the south by Lamberts Lane, to the west by Fahy Ave., and to the east by a ramp connecting to the Staten Island Expressway. Monday, January 7th, 2013 at 2:29pm. 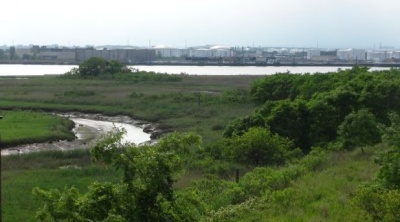 If you're interested in salt marshes, Staten Island's West Shore is the place to go. Most of the West Shore has been undeveloped, leaving much marshland. In the neighborhoods of Travis and Chelsea, you can find what was once known as the Neck Creek Marsh, named after the creek that runs through it. During the twentieth century, the name of the site was changed to Meredith Park, after a property owner in Chelsea, William T. Meredith. 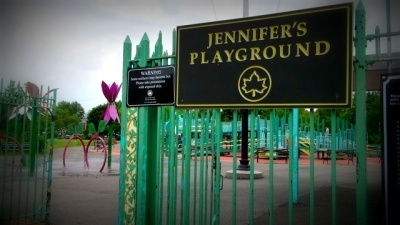 In 1998, New York City Department of Parks and Recreation Commission Henry J. Stern changed the name of the park yet again, to Meredith Woods. Though Commissioner Stern is well-known for his appropriate renaming of parks, Meredith Woods is actually made up mostly of marshland. Saturday, June 9th, 2012 at 5:57am. It's certainly amazing when a community comes together for a cause. When that cause is to help parents whose children had been kidnapped, it's really something else. On July 9, 1987, twelve-year-old Jennifer Schweiger went missing. Hundreds of volunteers joined together in a search that lasted thirty-five days. On August 13, 1987, a body had been found in a shallow grave at the site of the Staten Island Developmental Center in Willowbrook, an institution for mentally disabled children. As it turned out, the body was indeed that of Jennifer Schweiger. 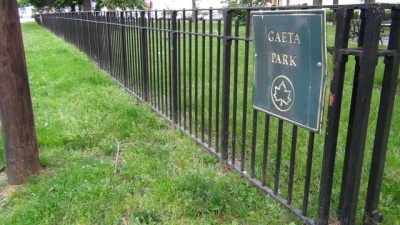 Gaeta Park, in Staten Island's Willowbrook Neighborhood. 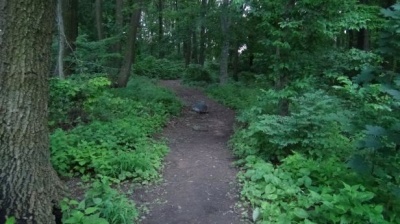 Tuesday, June 5th, 2012 at 8:16am. 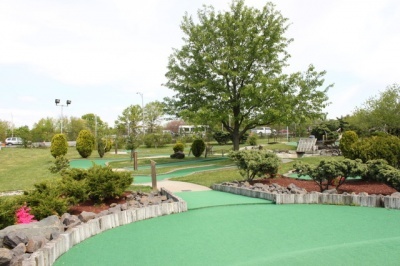 When looking at Staten Island's parks, you may notice that some of their names are quite odd. If you're like me, you have probably wondered how they received their names. Well it may not come as a shock to you, but most of these parks were actually named for people. More importantly, a good number of them were named for prominent residents of Staten Island. The Staten Island Expressway is Staten Island's main artery. Thursday, May 17th, 2012 at 8:18am. In April of 1957, plans were approved for a freeway which would be comprised of eight express lanes and four service lanes, running west and east through Staten Island. Construction began in 1959 on what would be known as the Clove Lakes Expressway. On January 30, 1964, the first section opened from the Goethals Bridge to Victory Boulevard. Ten months later, on November 19, the rest of the expressway had been completed--just a few days be fore the Verrazano-Narrows Bridge first opened. Wednesday, May 9th, 2012 at 10:08pm. In 1867, Czechoslovakian Moritz Glauber immigrated to New York. After settling in Colorado and opening his own department store, he removed to Tennessee with his new wife, Elsa. By 1910, the couple was living on Staten Island, where they owned a 35-acre estate. In 1944, while living alone in New York City, Moritz Glauber passed away . On January 17, 1958, the estate was acquired by the City of New York, who transferred the site to the New York City Department of Parks and Recreation. 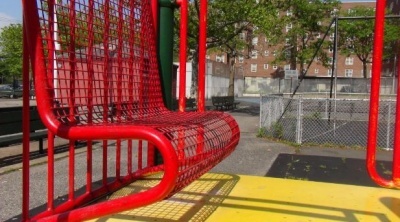 Soon afterward, a little less than five acres were transformed into a park.